What We Know About Dilated Cardiomyopathy in DogsThe FDA received a report from Cardiac Care for Pets, a practice that employs 19 veterinary cardiologists in Maryland, Kentucky, Virginia, and Texas, that they had seen a spike in canine DCM cases – and not just in the breeds that have a genetic predisposition to developing DCM, but also in breeds that are not known for an inherited propensity for the condition. Their report also included the fact that all of the cases had something in common: all the dogs had been eating diets heavy in peas, lentils, chickpeas, and potatoes. We’d like to suggest that concerned owners keep reading labels and educating themselves about canine nutrition, and, for now, limit themselves to the facts that are currently known by the FDA about this spate of canine DCM cases. Also, Linda Case’s excellent article in the September issue of WDJ will also help shed much-needed light on this complex and concerning issue. 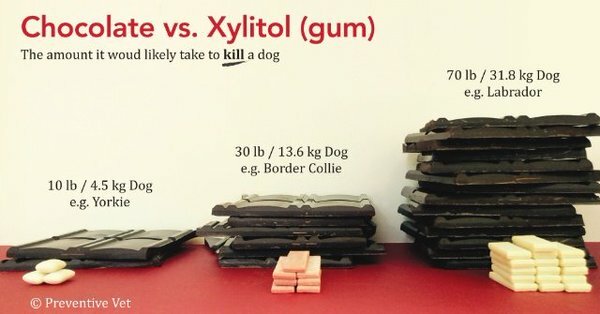 Xylitol (a sugar-free substitute) is poisonous to dogs! It is added to a huge number of sugar-free products now, please check labels and keep away from your dogs.